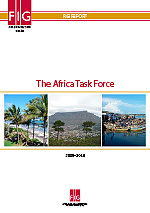 The key purpose of the FIG Africa Task Force was to enable the surveying profession in Sub-Saharan Africa to deal with social responsibilities in terms of contributing to achieving the MDGs, as articulated in the Terms of Reference (Appendix A). In this regard, the role of the surveyors as change agents engaging with politicians and local communities is of key importance. This relates to the professional status of surveyors that, in turn, is based on the principles of social responsibility and justice. 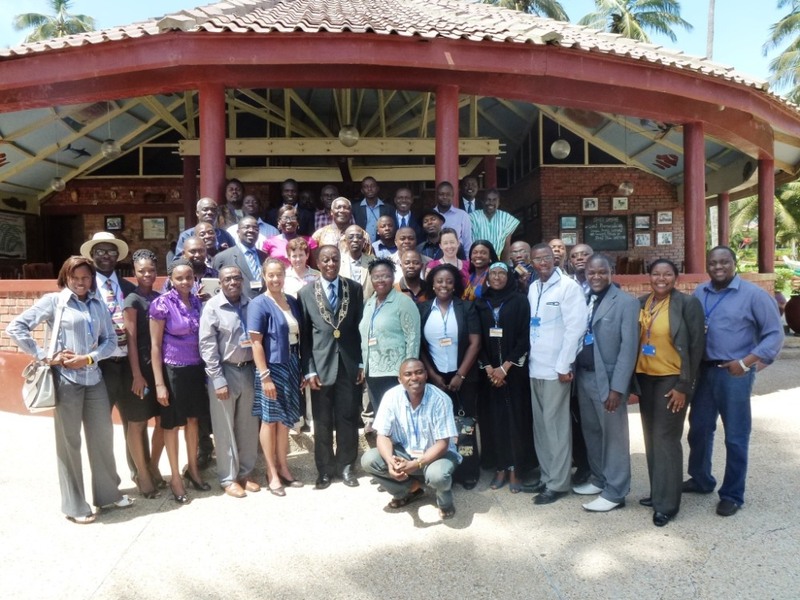 The task force considered and presented new and creative tools to revitalise and strengthen members and their organisations within Sub-Saharan Africa. The focus has been be on building the capacity of the surveying organisations and individual surveyors to act as agents of positive change and encourage the process of development and growth for the benefit of Africa and its people. The philosophy behind the FIG Africa Task Force has been to empower leading professionals of the surveying profession in Sub-Saharan Africa to take ownership of this agenda and to act as agents of change. This objective has been pursued through a process of participatory development of various methods and tools as presented in the Workshop Manual 2010–2014 (Appendix B). Ultimately, the task force activities should be seen as a capacity development process. In this context, the FIG Africa Task Force activities and outcomes aimed to share and apply knowledge and understanding, and to enable the workshop participants to take on a role of leadership in relation to meeting the MDGs, where each workshop echoed specific MDG themes. Peri-urban development – to develop tools to plan for access rights to sanitation and water infrastructure in emerging informal settlements. Workshop in Mombasa, Kenya, 2010. Environmental resilience – to develop a response to local natural resource environmental degradation by integrating the principles of sustainable development into all stages of the building cycle process and by encouraging practices to stem the loss of environmental resources. 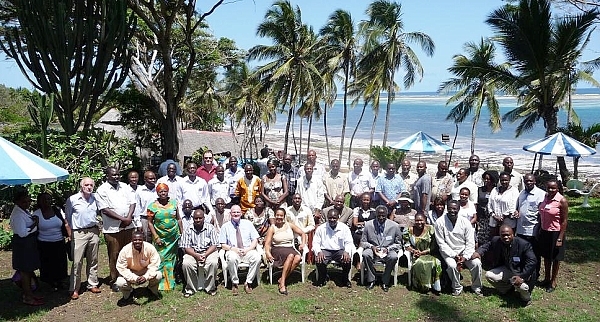 Workshop in Elmina, Ghana, 2013. Facilitating a roundtable at the FIG Working Week for discussion of the further work to develop tools within the specific theme to be included in the volume of the “ATF Workshop Manual 2010–2014”. Following this process the task force has finally concluded by providing this publication summarising the activities of each of the three workshops, and outlining key recommendations. 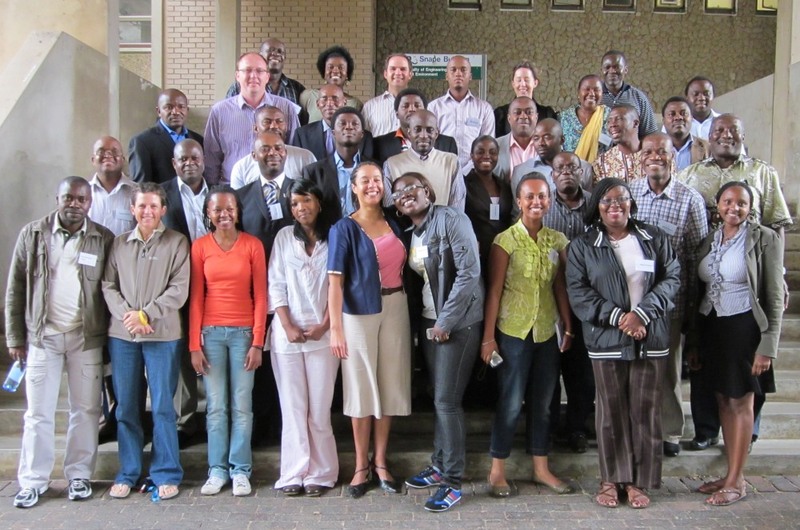 In short, the FIG Africa Task Force process of participatory capacity development has enthused the workshop participants and enabled them to facilitate the process of further empowering the surveying profession in Sub-Saharan Africa to cope with their professional and social responsibilities. From these deliberations key recommendations have been devised to propose the continuation of the philosophical and methodological approach of the FIG Africa Task Force. 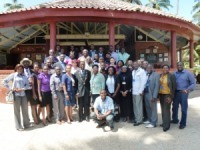 The task force resolves that land professionals in Sub-Saharan Africa should build upon the ATF term (2010–14) to continue to apply their collective knowledge and build their capacity to address the emerging UN Post-2015 agenda that will supersede the current UN Millennium Development Goals that are in place over the period (2000–2015). It is therefore recommended that the work of task force continues within an appropriate funded platform that enables capacity development for land professionals within three broad areas to make a difference. These broad areas or themes relate to: Communication, Collaboration and Connectivity, and are presented in more detail in section 5.